Stone grey is the medium tone grey of Schüller’s three greys with a matt finish. 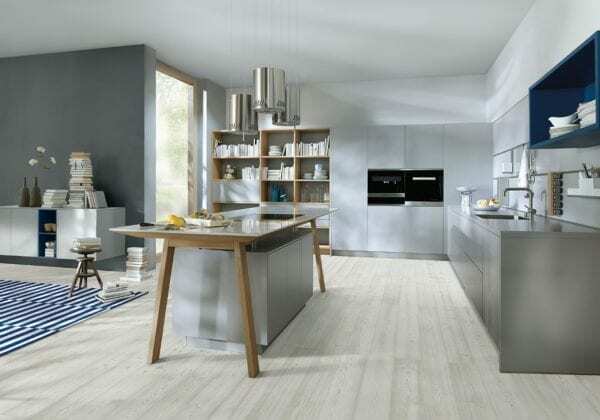 It has the same simplicity and modernity of a white kitchen but with more warmth. 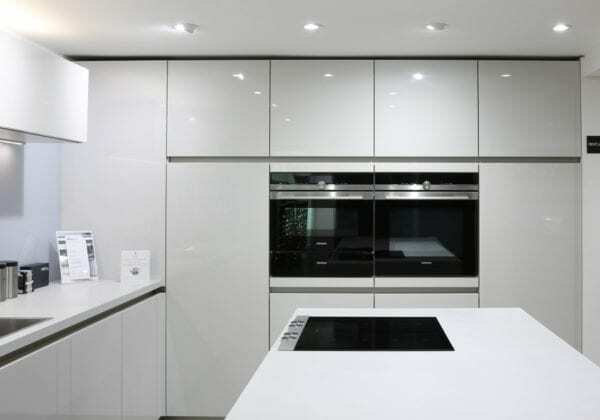 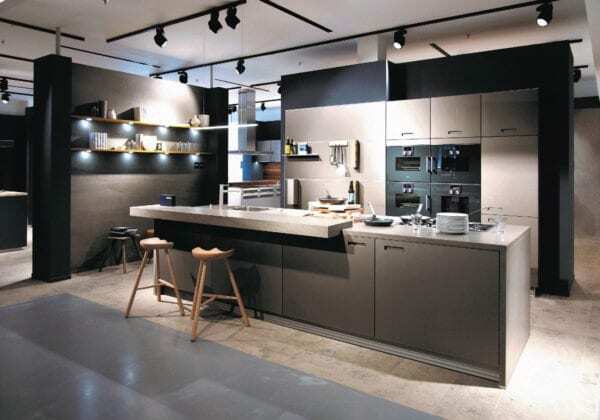 The satin lacquer units are coated on both sides with HPL-SolidColour-plating; the huge benefit of which is the uniformity of the colour throughout all the products, including panels and worktops. 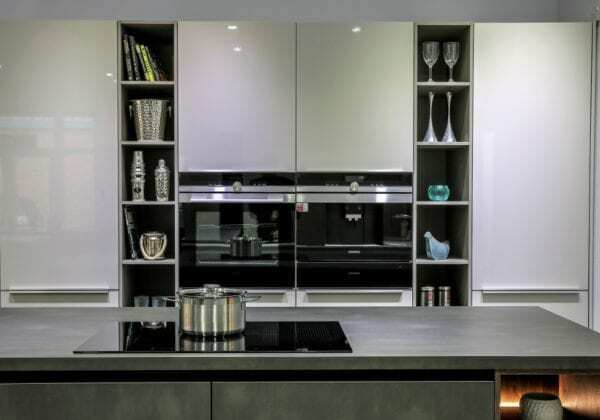 The carcass comes in a matching quartz grey and the grip ledge profile is available in stone grey or nine other colours.